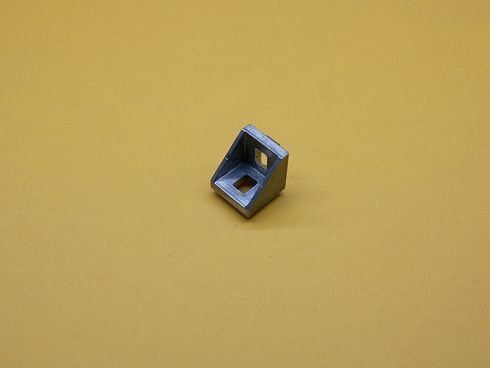 20 Series 2 Hole Inside Corner Bracket, TNUTZ Part #CB-020-A. These brackets will fit in the 20 Series (20mm) extrusions. 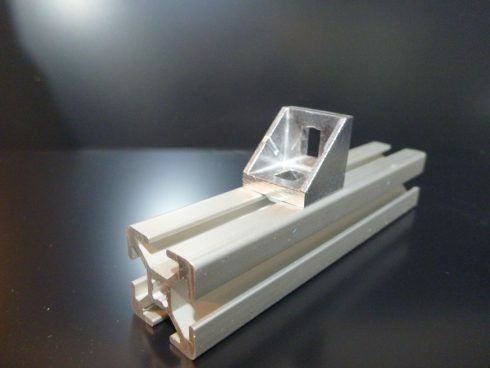 The dimensions are 18mm x 18mm x 18mm, and have 5mm tabs to help properly secure the bracket to the extrusions. The extrusion is not included in the ad; it’s shown for function purposes. – These brackets have plastic covers available to make a very clean connector. Please click HERE for more information. 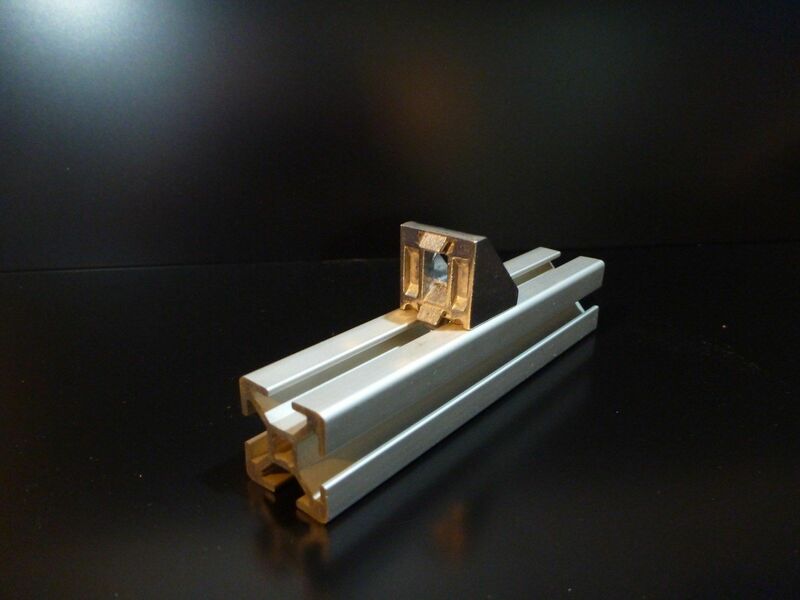 – They will fit 20 Series or 5mm T-Slotted Extrusions. – These parts are BRAND NEW, and are deeply discounted from the list price.